In an effort to build national identity and preserve tradition, UUARC supports a student-exchange program where children from the East share Christmas and Easter customs with Western host families. By enabling many Ukrainian orphans to attend summer camps, they are provided the opportunity to get to know their country better. 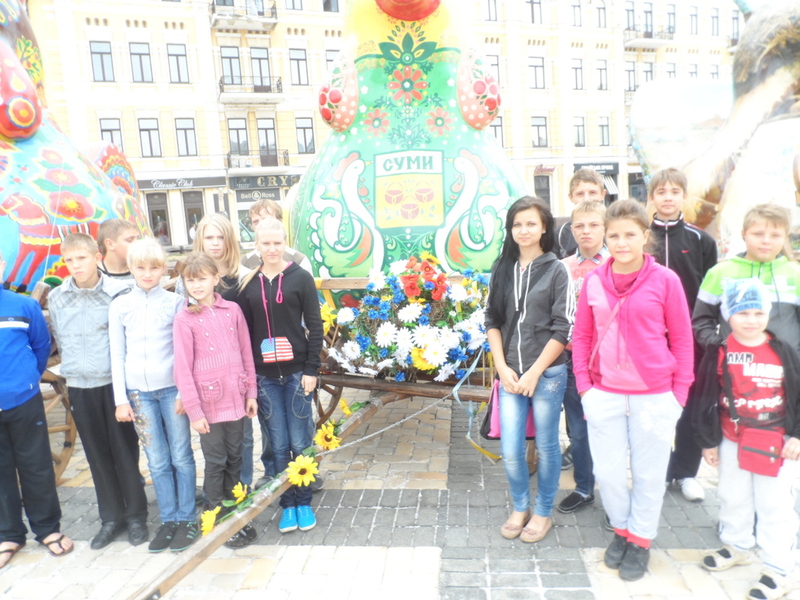 The opportunity is for children living in the eastern part of Ukraine to explore the rich vastness of the country and its diverse culture. 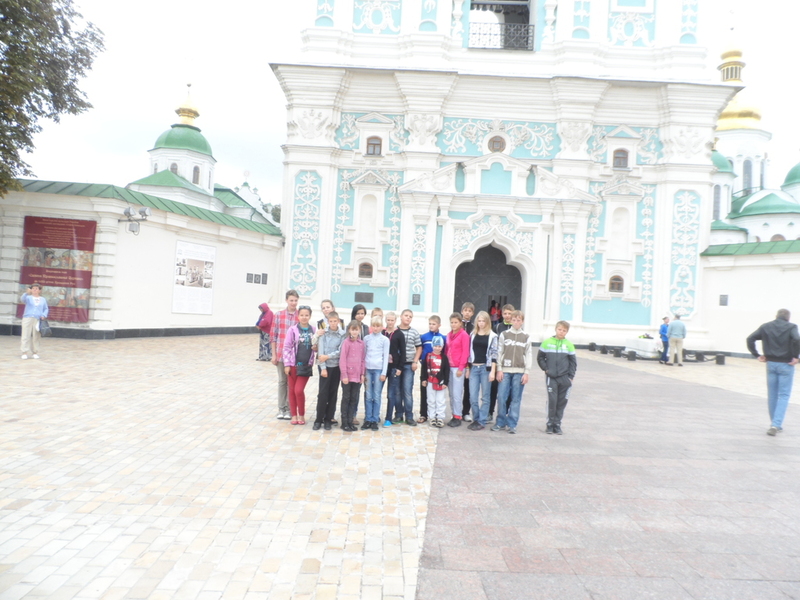 DIn the 2017 Easter season, through UUARC’s ongoing “Know Your Native Land” program, 20 children of displaced refugees, who now reside in Kharkiv and Poltava, had a chance to spend time in Western Ukraine. They became familiar with the traditions involving the celebration of the great Christian feast day of the Resurrection of Christ as observed in the villages of Chyshky and Vynnychky, in the Pustomytiv district of Lviv oblast. Ніщо не може так з’єднати Україну, як спільна думка, віра і однакова ціль, яка закладається в серцях підростаючого покоління. Завдяки програмі ЗУАДК-у Пізнай Свій Рідний Край, діти зі cходу України мають можливість погостити в українських родинах із заходу України та збагатити свій світогляд про рідний край. На Великдень 2017 року, групи дітей з найбільш незахищених родин – 22 осoби з Авдіївки (зона бойових дій) та 22 осoби з Харківської обл. перебуватимyть у родинах у селах Пустомитівського р-ну Львівської обл. Діти пізнаватимуть стиль життя західної родини та традиції святкування Великодня впродовж п’яти днів від Великoї П’ятниці по Великодній Вівторок. Кожна група такoж матиме одноденну поїздку пo Києвi. Надіємося, що це дасть змогу цим дітям хоч на мить забути про страх війни, та спонукає до глибшого вивчення історії та традицій рідного краю. Every summer, UUARC organizes summer camps for children in Ukraine. In 2018, camps were held in July and August at the campsite “Opillia”, in the village of Dobryniv, Rohatynsky district, Ivano-Frankivsk oblast. The goal of these camps is to rehabilitate children living on the line of demarcation in the immediate vicinity of the combat zones. 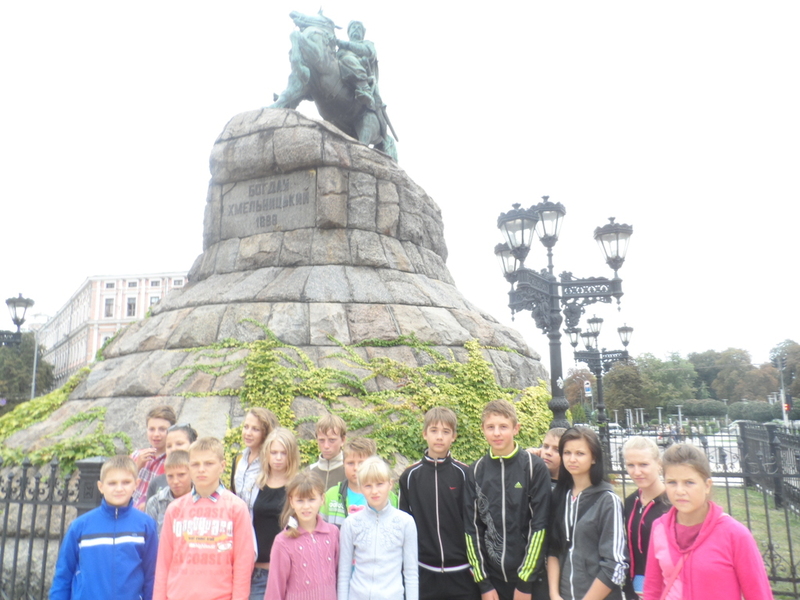 232 children from Donetsk, Luhansk and Kharkiv oblasts had an opportunity to visit the many picturesque areas of Ukraine, to get acquainted with its history, nature, traditions and to relax physically and emotionally. UUARC also provided aid for a camp of 70 children of soldiers killed and wounded in the Combined Forces Operation (OOC), in Mizhhiria, Zakarpattia oblast. This year, UUARC is planning to do the same and this can only happen thanks to you, our esteemed donors and patrons.